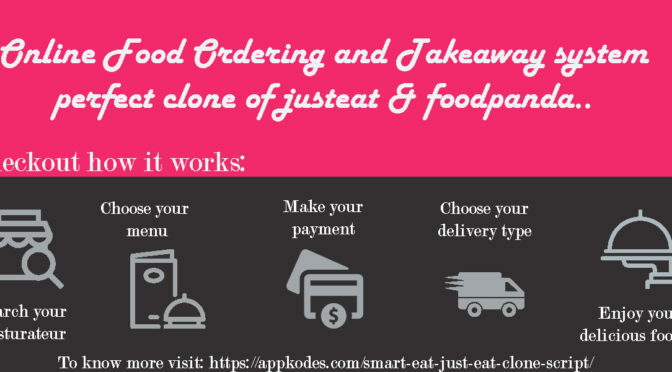 Just eat clone script fits the divergent entrepreneur who wants to step into online food ordering business .Nowadays, ordering and eating food got more smarter. Lot of people order their food by means of internet. Many food ordering sites are launched and getting decent profit in the market. Major advantage of food ordering site is, able to compare the foods and ingredients mixed in the food, time of delivery and availability of food. This script comes with key features like PayPal integration, Invoice generation, SMS integration, etc..